Magnum Machine is a precision machine shop that offers a wide variety of precision CNC Turning and Milling from our multi Axis Swiss style lathes and Okuma lathes to our four axis CNC okuma milling machine. Magnum employees are some of the most experienced machinist in the field. We are flexible in working with all grades of steel, aluminum, brass, copper, plastics and other materials that allow us to respond to all customer specifications. We are proud of our ability to respond to our customers ever changing needs and place an emphasis on continuous commitment by evaluating our manufacturing processes and making continued improvements by employing the best practices in the machining industry. We continually invest in advanced machine tools to enable the production of a high preforming end product. We work hand and hand with our customers from design through production. Consistently holding tolerances of .0005 and as tight as .0001. 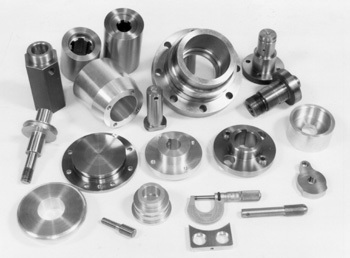 Our goal is to give our customers superior quality, service and precision CNC machining from the simplest component to the most complex prototype or full production run.